Lately, I have felt as if I am getting a new piece of art to look at every day-when I look up at the sky. The only thing is -I wish I could better capture how they look with my camera. But it never compares. Last night was amazing. At about 1:30 am, the moon was bright and most of the "light pollution" had died down. I can't even put into words how delicate and lovely the sky looked. It was like looking at a picture book. We watched the clouds move slowly across the moon and the sky was a crisp, navy blue. 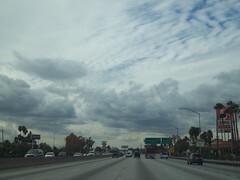 This morning, I could see some snow on the mountains and great rippling and cumulous white clouds in the sky. one other thing that is on my mind. I love that we all have diverse and conflicting ideas and opinions.. but do we need to daily prove that our way is the best way? What of a life that is just that?